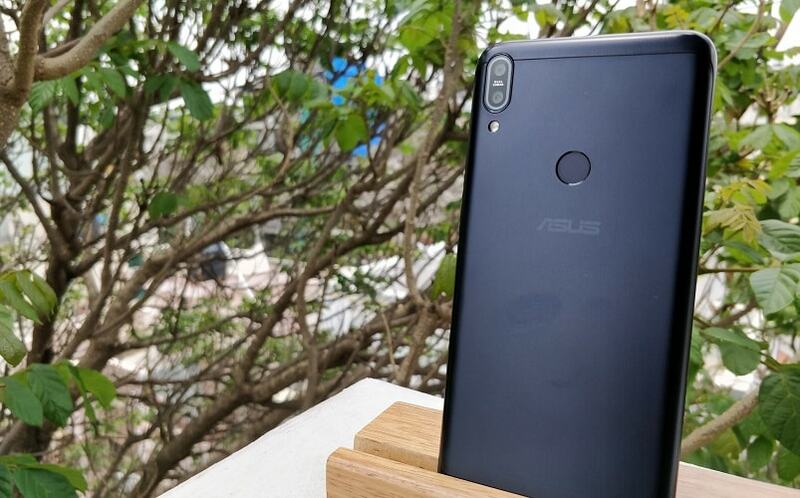 Zenfone Max Pro M1 is the new budget mobile phone from Asus. 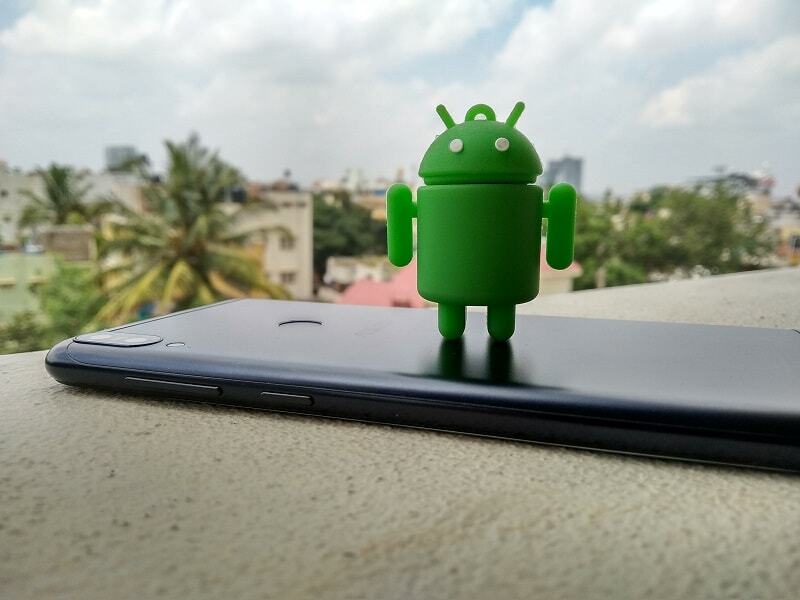 The long battery, stock Android, good design-build and competitive price are the USP of this phone. Asus is targeting the Rs. sub-15k segment with the Max Pro M1 where Xiaomi, Honor, Lenovo, and many other brands are already having a very tough competition and Oppo has just made this more interesting by launching the RealMe 1. Chinese mobile phone company Xiaomi is dominating the budget segment in India with a wide range of mobile phones within Rs. 8k to 15k range and Mi is giving a very hard time to all other brands in this segment. If you remember Asus used to be in this budget league back in 2014 when Asus had the ZenFones with good specifications at a very lower price tag but Asus failed to maintain its place. 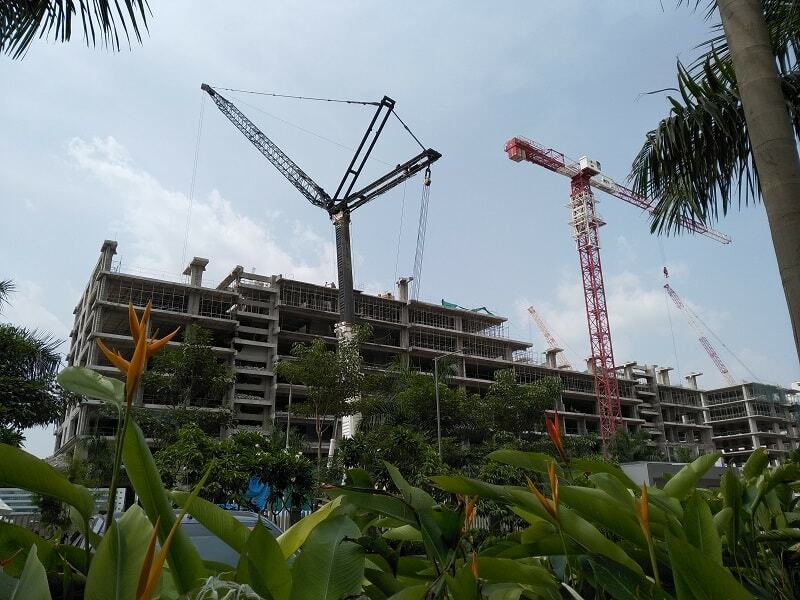 Since then Asus has launched many mid and high end and even super-premium mobile phones but they were not as successful as the company expected. 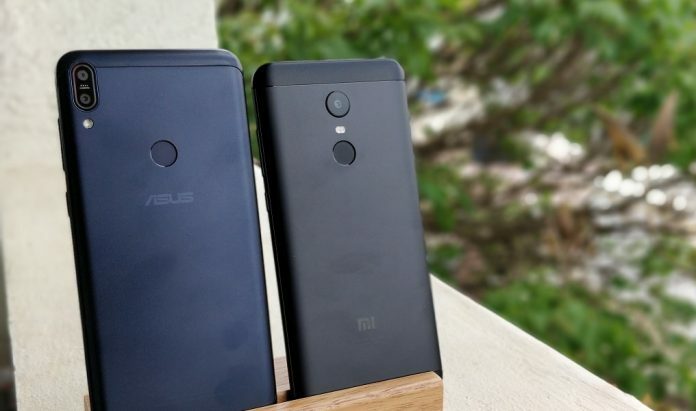 Now, the company is trying to reclaim its place in the budget segment but it’s not going to be easy for Asus since Xiaomi and other brands are aggressively active in this segment, it will be tougher than before, but the more competitions, the better for buyers. Front Camera: 8 megapixels camera with an f/2.2 aperture, 1.0µm pixel size, beauty mode, and portrait bokeh. Connectivity: WiFi, hotspot, Bluetooth 4.2 A2DP, GPS, FM Radio, 3.5mm audio jack, micro USB 2.0, USB On-The-Go. 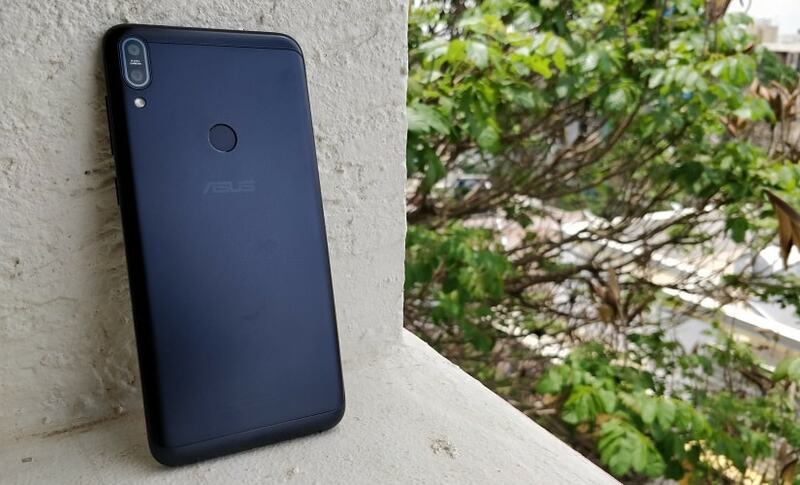 Asus Zenfone Max Pro M1 has an average and common design but the build quality feels really solid, it has the metal panel on the back and the plastic frame with mild matte finish design. 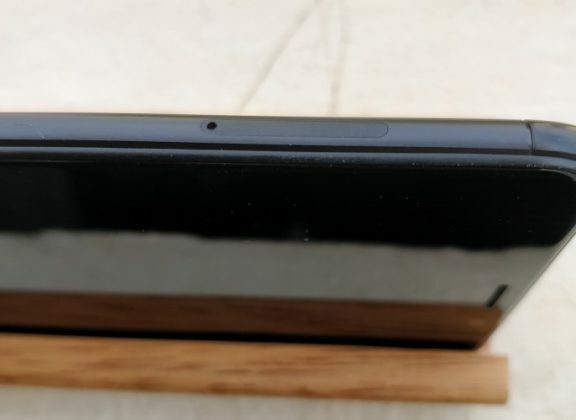 The rounded corner and sides making a comfortable grip while holding the device. 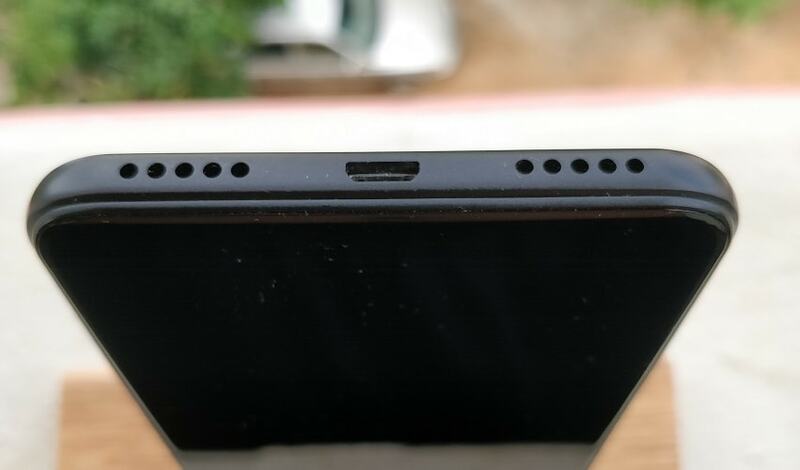 The 8-megapixel selfie shooter along with earpiece, ambient light sensor, proximity sensor and LED indicators are placed just above the 18:9 aspect ratio 5.99 inches IPS full HD+ display. 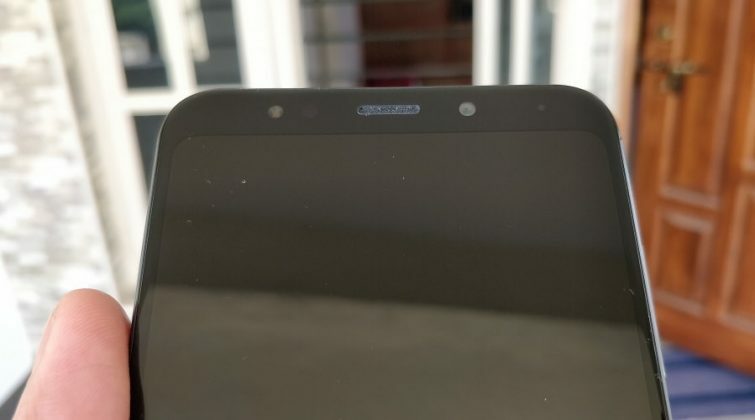 The front of the phone is entirely covered with the 2.5D curved glass which is scratch resistant and has an oleophobic coating on it. 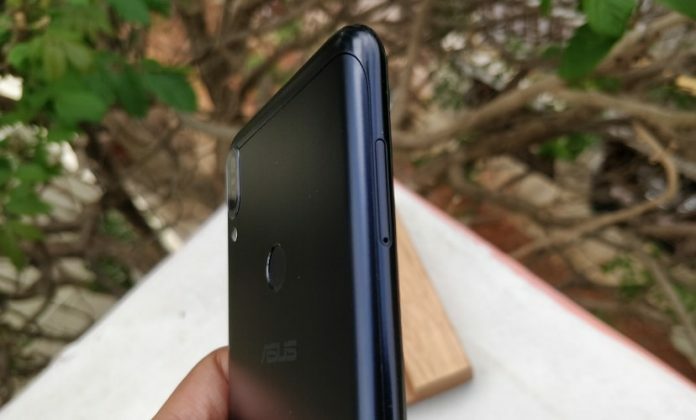 The less-bezels are the trend these days and almost every phone phones in all segments are coming with lesser bezels, Zenfone Max Pro M1 is not an exception as it has the less-bezels or full view display design which gives you a bigger screen without increasing the size of the phone. 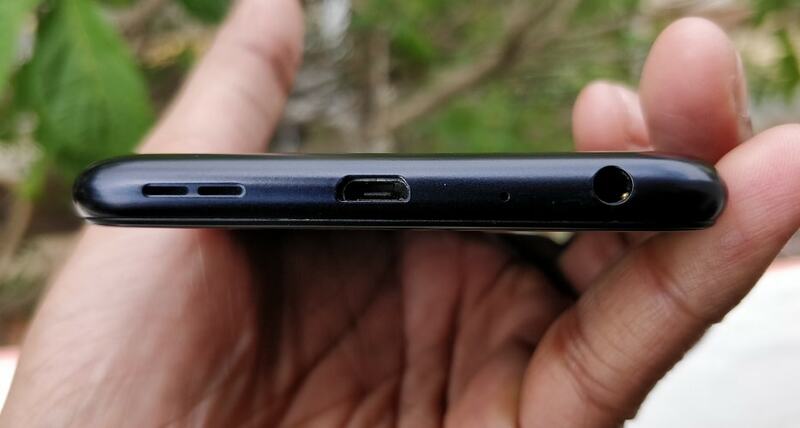 The 3.5 mm audio port and Micro USB 2.0 charging port are at the bottom, it does not have the USB Type C or fast charging though this is unexpected in this price segment, considering the massive 5000 mAh battery customers could really make use of fast charging. However, it supports the USB OTG to transfer or access the data directly via compatible pen drives. 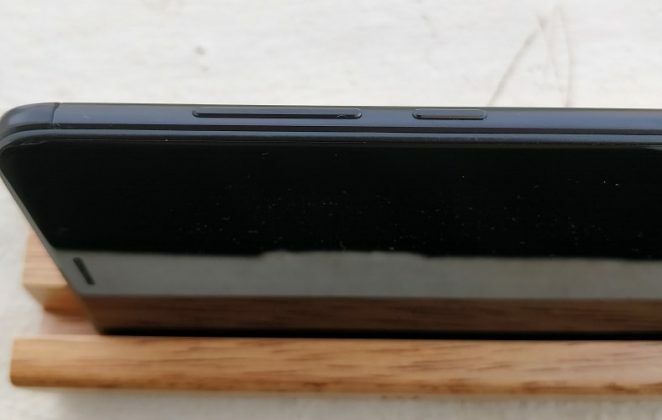 The speaker and a mic are also on the bottom side of the phone. The rear side of Max Pro M1 has a vertical dual camera setup at the top left corner along with the LED flash right below the camera lenses, the fingerprint sensor and Asus branding are also at the rear. The volume rocker is on the right side of the device right above the power button whereas the SIM tray with dedicated Micro SD card slot is placed on the left side. The hybrid SIM slot allows inserting two Nano-SIM cards and a Micro SD card up to 2TB. The overall design and build of Zenfone Max Pro M1 are good, it feels solid and premium in hand. Its metal design makes it a bit slippy so you may need a proper back cover or case to avoid slip down and to have a good grip on the phone. As you can see in the key specification section, Max Pro M1 has a big 5.99 inches full HD+ IPS LCD display the display aspect ratio is 18:9, 1080 x 2160 pixels resolution, and 402 PPI pixel density. The display of Max Pro M1 is good, brightness and outdoor visibility are pretty balanced, the wide viewing angles are also good. The color saturation is not that good you may find oversaturated colors and there isn’t any setting to manually correct the color saturation, a standard sRGB color mode setting would have been useful to make the colors less intense, though you get the setting to adjust the color temperature. The adaptive brightness is running perfectly fine and photos and video are also appearing very good on its big Full HD+ screen. 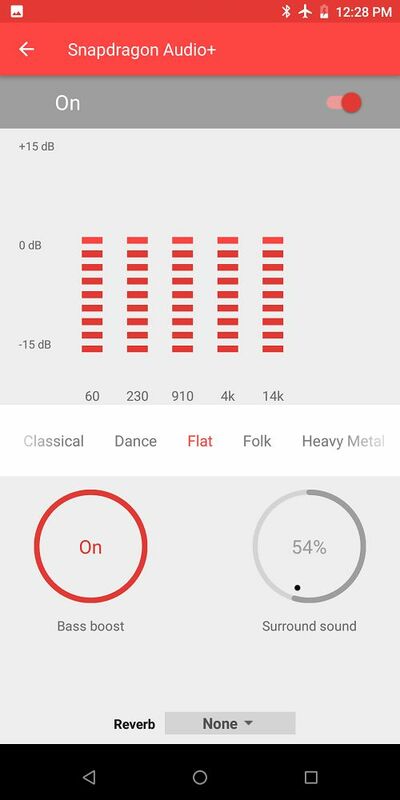 The Max Pro M1 has integrated the Snapdragon equalizer in the Google Play Music which gives you the many options to tweak and customize the music playback sound. It’s definitely better than the default android equalizer that comes with the Google Play Music. 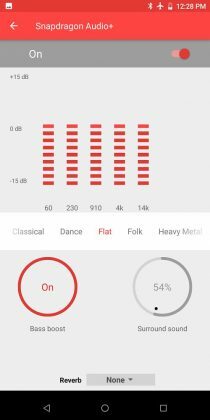 The phone doesn’t come with any earphone, I have tested the music quality using the Sennheiser CX-180, JBL T100A, OnePlus Bullet (V2), Intex Jogger B, and Mi Pro HD earphone; I liked the overall music quality via headphone some credit also goes to the good earphones and the equalizer customizations I had done. Overall I don’ have any complaint with the sound section either with the call or music experience considering the price tag of the phone. 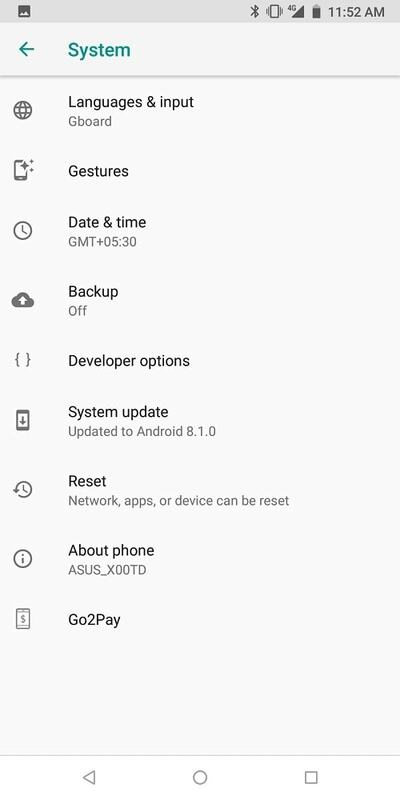 Unlike other Asus phones, the Zenfone Max Pro M1 comes with the nearly stock Android Oreo 8.1, it looks like any other stock Android but there are some minor customizations in the UI and the default apps. 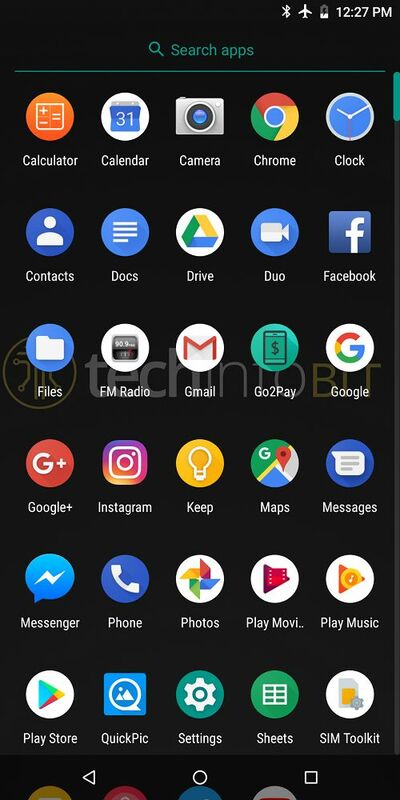 Personally, I like the stock Android, if some brands are providing the custom build skin on the Android then it should be really flawless and it should give them even better performance than the stock otherwise wasting resource on customizing the Android which is already amazing without any customization and never delivering the OS updates-upgrades doesn’t make sense. 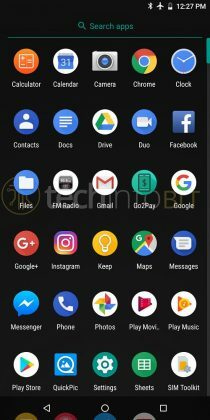 The UI and layouts of Max Pro M1 are looking impressive, except two or three extra apps there is no any bloatware moreover you may find those apps useful. If you still want to get rid of the preloaded Asus apps you can uninstall it from the setting anytime. 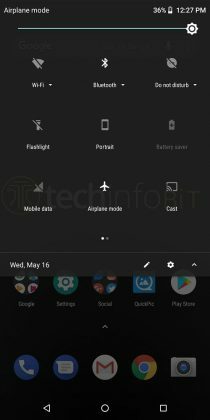 Sliding down screen from the top will give you the notifications and the quick settings whereas sliding up from the bottom will give you the app drawer with an app search option like any other phone with the stock Android. 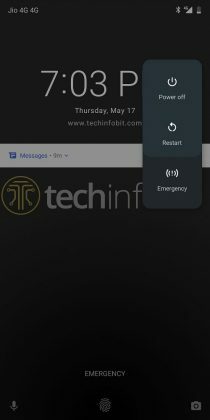 I liked the unique interface appeared after pressing the power button to power off, reboot, and emergency options. 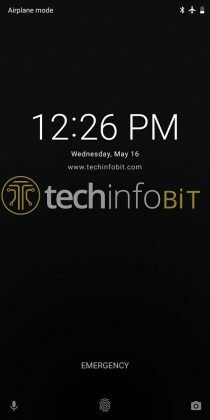 Asus has added some gestures called ZenMotion which lets you double tap or swipe on the screen to turn on or off and draw letters on the screen to launch the apps. The fingerprint sensor is on the rear side of the phone, nowadays every phone is coming with the Face Unlock which is quite easy to unlock your phone and in the budget segment RealMe 1 completely ditched the fingerprint and completely relied on the face unlock. But fingerprint scanner is still the most convenient and safe feature to unlock the phone so its good that Max Pro M1 still has it. 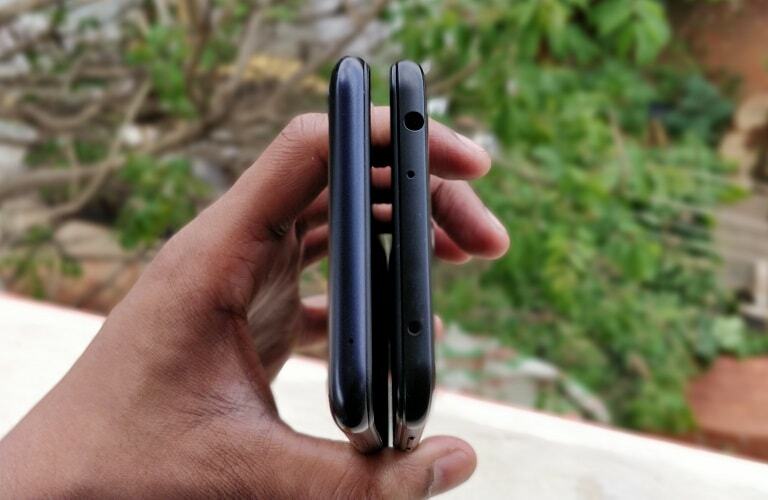 During my review, I have noticed the fingerprint scanner of Zenfone Max Pro M1 is slow it takes too much time to recognize and unlock the phone. 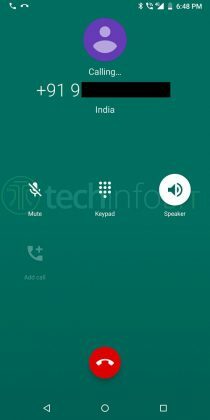 If Asus had launched the phone 2 years back than I could have said that fingerprint is good but now almost every phone in its range has a fast fingerprint sensors, many phones in budget segment are able to recognize and unlock the phone instantly like 0.3 or .02 seconds so I don’t think there should be any excuse for Max M1 Pro to have slow fingerprint scanner. 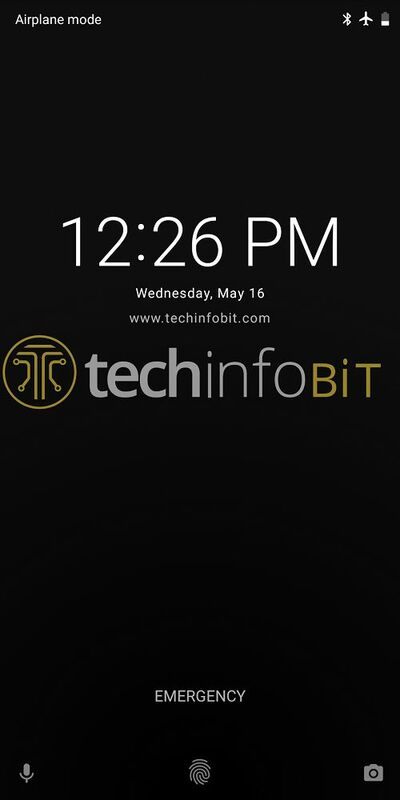 Sometimes it takes 1 second or even more than that to unlock the phone, I am also not denying the possibilities that there might be some issue with my review unit or the company may fix the issue later with the software update or maybe not since Asus does not have very good track record of delivering the OS upgrades. 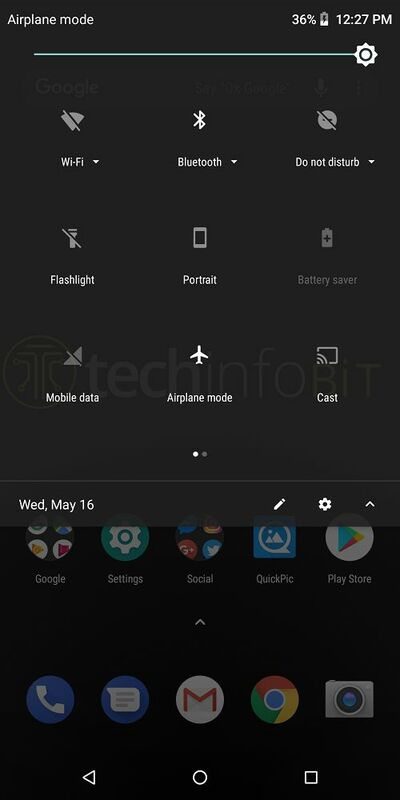 Zenfone Max Pro M1 also has the face unlock feature but you can not rely on face unlock in low light, it doesn’t work very well in the low light scenarios. My review unit has the 3 GB RAM and 32 GB internal storage with 1.8 GHz Snapdragon 636 Octa-core processor. 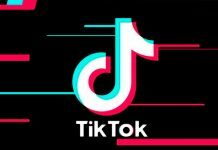 I have installed all the regular apps which I am using on my primary phone. There are almost 60-70 apps installed on the phone and all apps are running fine except the default camera app. 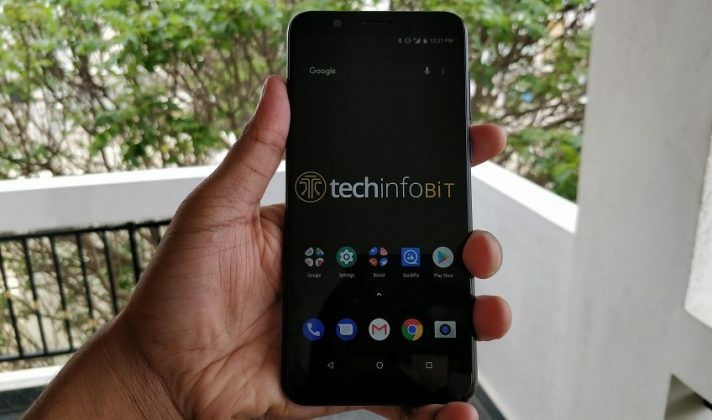 The overall performance of the phone is good not very good and I will blame the software for that because it has good hardware specs and I have seen better performances with the similar or lower hardware configuration phones. The default UI animation is a bit slow and making the appearances slow, if you can reduce the animation from developer option then it appears way better and faster. 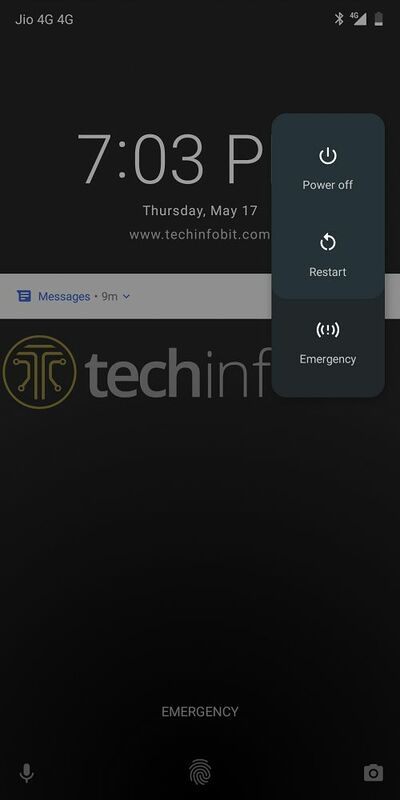 The basic performance while doing the multitasking, opening a couple of browser tabs and 10-15 apps at the same time, switching within the recent apps are smooth even when multiple apps are running in the background. When I was sharing the camera sample on Instagram the device got frozen many times, initially, I thought it’s happening because of the keyboard or apps but the problem was same with the Swiftkey and the Instagram app was already updated. The same version of the Instagram app was running absolutely fine on another phone with the same Android version. These are the very basic issues but any bad experience would be bad for the product considering the fact that there are too many options in the market, I hope Asus will fix all these issues soon with the software update. 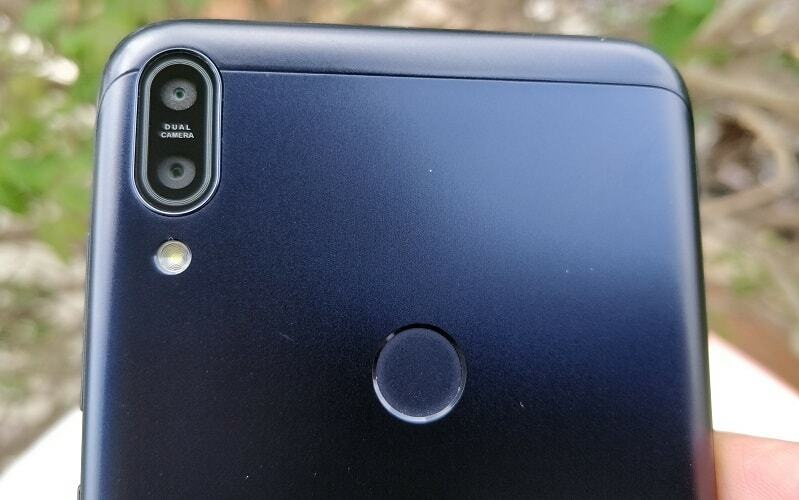 The rear camera setup of this phone is a 13 MP lenses with f/2.2 aperture and 1.12µm pixel size; the secondary 5-megapixel with f/2.4 aperture and 1.12µm pixel size is there only to create the blur background images. Features like phase detection autofocus, LED flash is also there with the rear camera. The camera app of the phone is the Asus custom camera app, I like the camera interface it’s full of options. 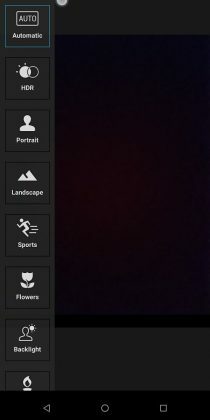 The camera app interface is neat and basic still it has many features including the preset camera modes like HDR, portrait, landscape, sports, flowers, backlight, candlelight, sunset, night, beach and snow. There are also some color filter options eg. mono, sepia, negative, solarize, posterize, aqua, emboss, sketch, and neon. The app doesn’t have the manual mode or pro mode so you can not adjust the shutter speed, ISO, white balance or exposers from the setting. 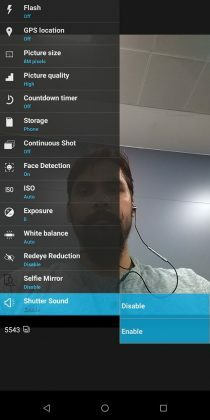 The overall camera app has all the important features and settings except the manual mode but the camera app could also use lots of software improvements to give the fast and more stable experience. The camera could be a bit quick and smooth while taking a picture, clicking photo is taking time like more than a second or two to capture, store and refresh the screen. 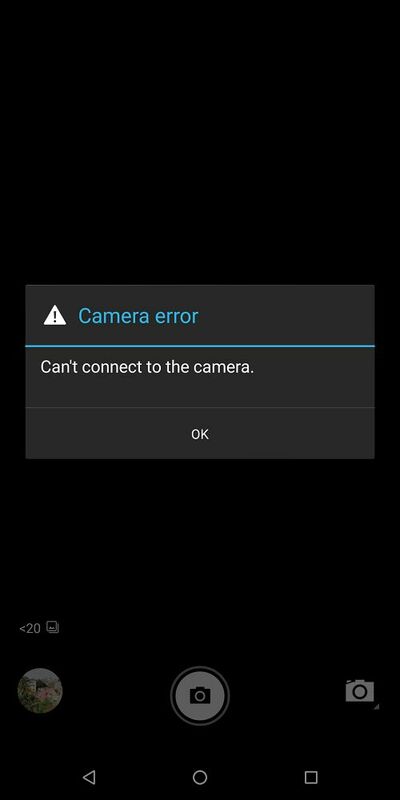 The camera app got crashed after using it for a while and it started working again only after rebooting the phone. 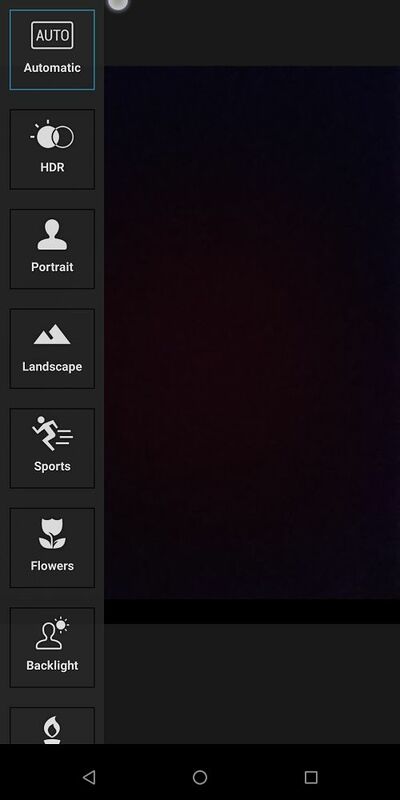 Other third-party apps worked quicker and smoother than the default camera app. Asus should seriously look into these and should fix all these bugs because it has competitors like Redmi Note 5 which has the buttery smooth camera app. 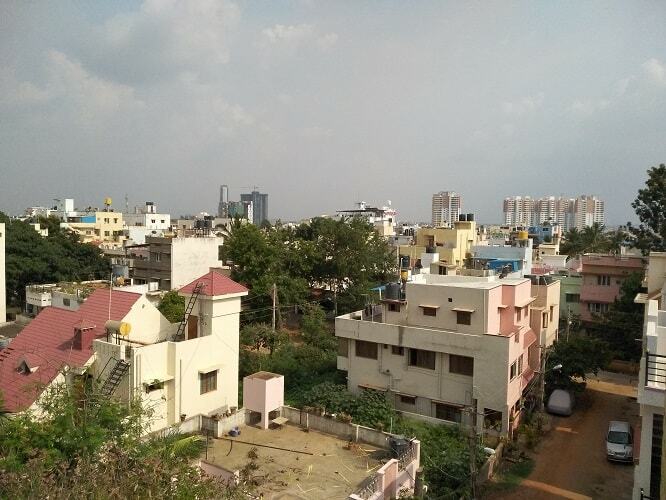 Let’s talk about the image quality of the Max Pro M1, images form rear camera in the daylight conditions are impressive, the colors on the photos appearing very good with balanced contrast and the white balance, but the camera performance is not same in the low light conditions. 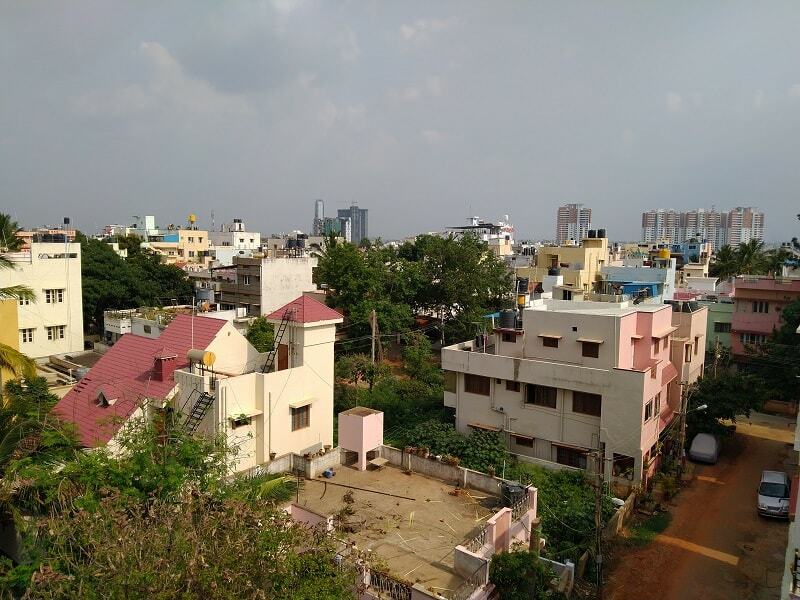 Photos clicked in low lights are too noisy and pixelated details, since there aren’t any manual or pro mode you can not even adjust the shutter speed and ISO to get the better shots in low light. The portrait mode works very good even on the non human objects, the portrait photo quality will impress you but you have to take the image patiently since the camera is working even slower during the portrait shots, it takes too much time to save the captured image; sometimes it takes more than 2-4 seconds to save the portrait images. It has 8-megapixel f/2.2 aperture selfie camera which again has all the important and trendy features on it, 10 effects beauty modes, HDR, Landscape, Sports, Flowers, backlight, candlelight, sunset, night, beach, Snow. But the photo quality is very disappointing in all light conditions either you taking the photos using the beauty mode or the normal mode. 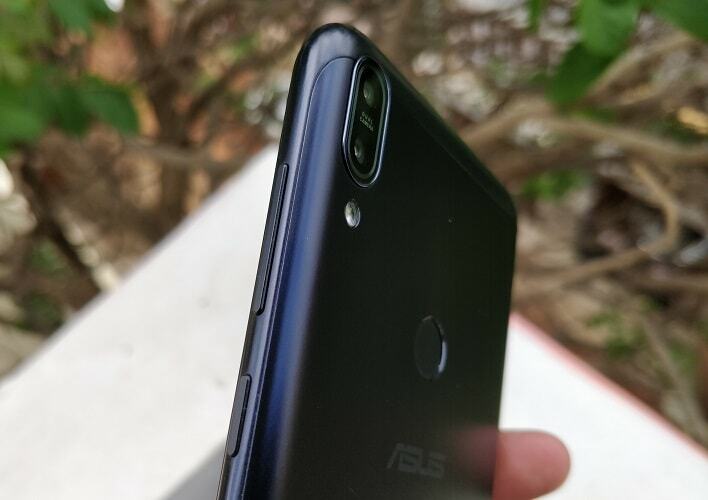 Asus Zenfone Max Pro M1 comes with the massive 5000 mAh battery, so it’s very obvious to have the very impressive battery backups and the device will not disappoint you on that. 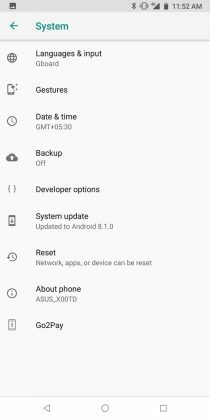 I have got minimum two days of battery backup while using it as my daily commute, and the battery lasted minimum 20 hours even after the heavy uses like the continuous use of GPS, 4G data and brightness 80% etc. Having big battery on phone is always a positive thing but there is one more side of it and that is charging time, the battery may last more than two days but to charge the phone from 5-100% it took more than three hours. 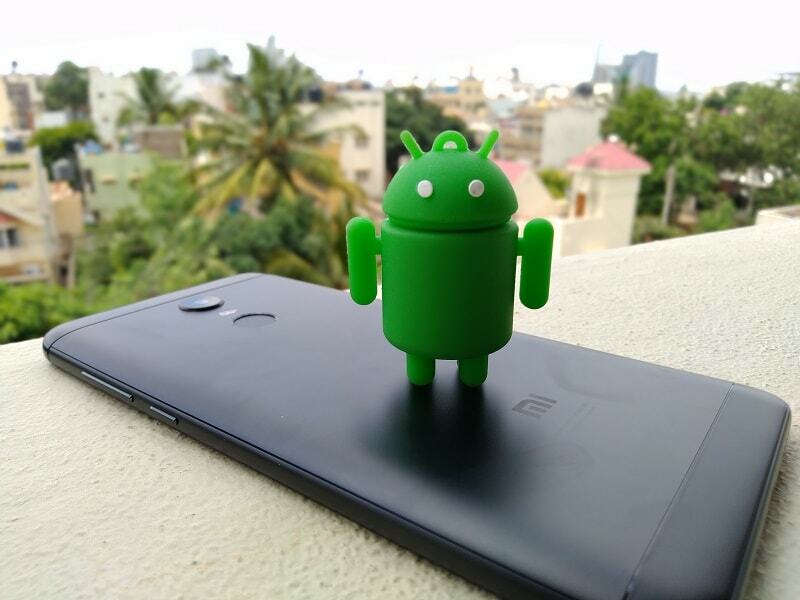 Any budget phone in India has to compete with the Xiaomi mobile phones because Xiaomi is ruling the Indian budget phone segment especially the online market. 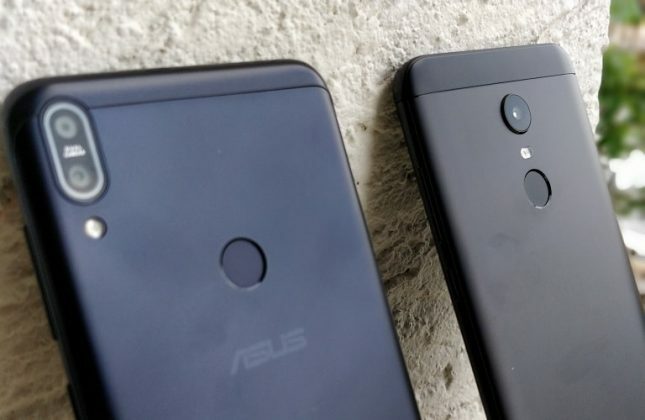 The Asus Zenfone Max Pro M1 also has to compete with the Xiaomi, in this case, I am doing the brief comparison of Zenfone Max Pro M1 and the Redmi Note 5 (3 GB + 32 GB). Redmi Note 5 is the successor of Redmi Note 4 which was a huge success for Xiaomi. The Zenfone Max Pro M1 and Xiaomi Redmi Note 5 has many similarities in size design and build. Redmi Note 5 has the same 5.99 inches 18:99 aspect ratio full HD+ display, the overall size and build of the phone is also almost similar to the Max Pro M1. 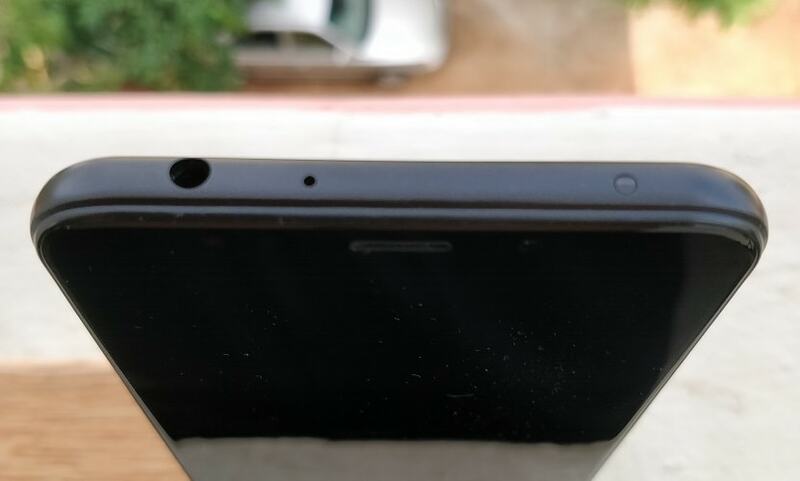 Redmi Note 5 has an aluminum body and Corning Gorilla Glass on the front to protect the screen whereas the screen protection for Asus M1 is unknown. 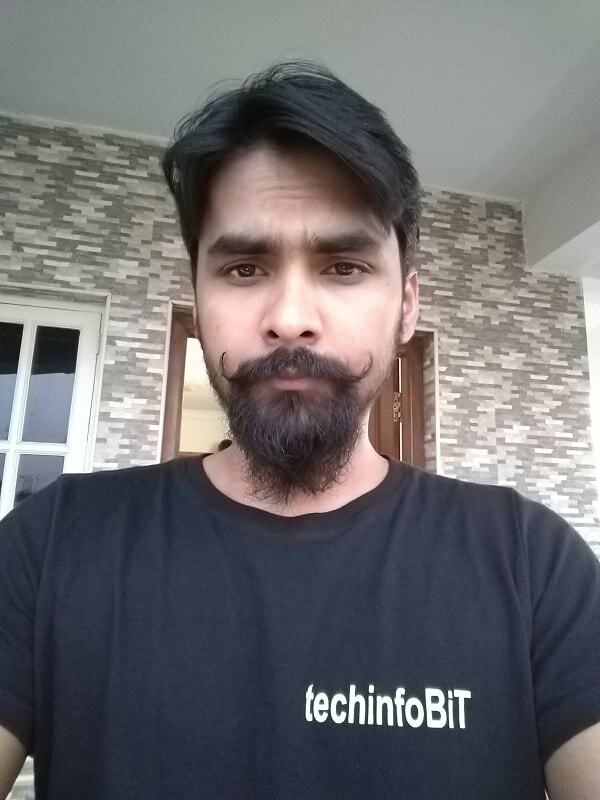 Front Camera: 5 megapixels camera with beauty mode. 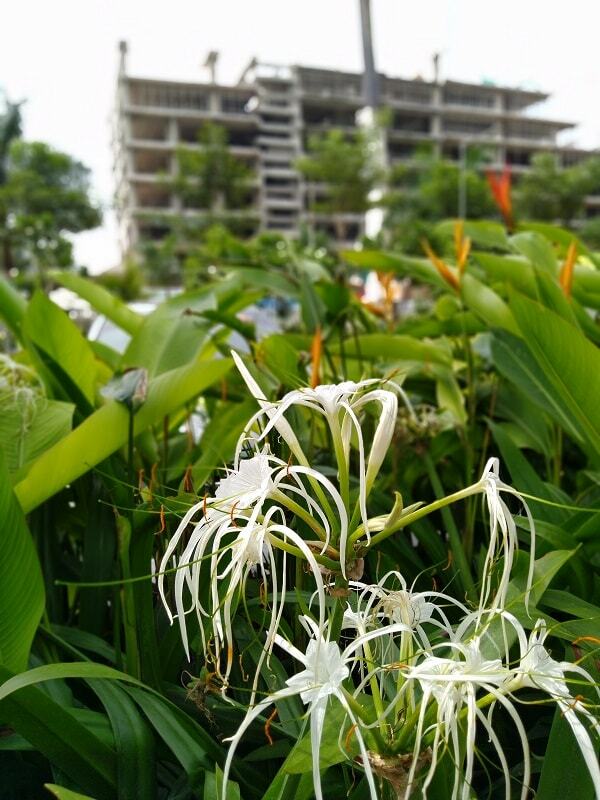 Camera Mode – Beautify, HDR, Landscape, Panorama, Manual Mode, HHT, Scene etc. 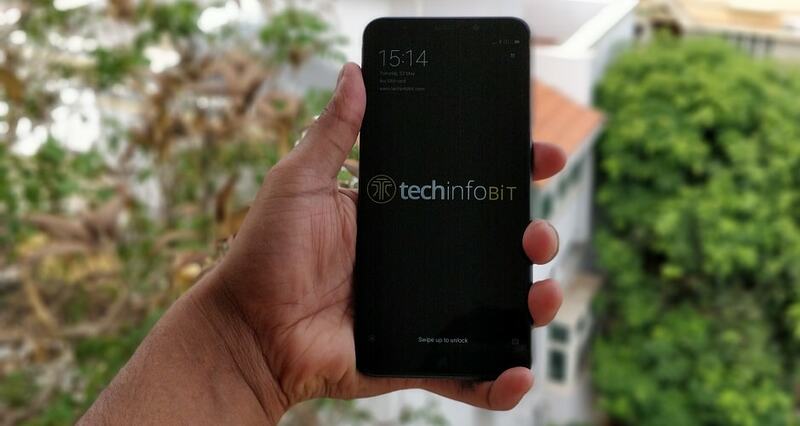 Xiaomi Redmi Note 5 runs the MIUI 9.5 which is based on the older version of Android Nougat 7.1.2, so Zenfone Max Pro M1 is the winner when it comes to the latest software but is it just having the latest software is enough? the answer is No. 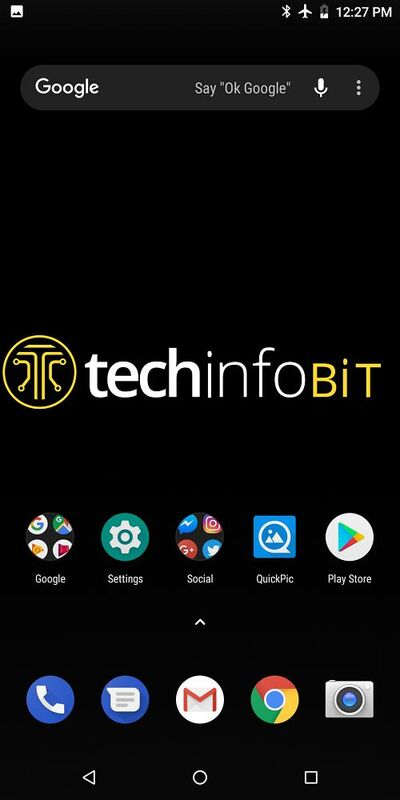 As I have mentioned in the Asus M1 software section it has few very basic but important software bugs and performance issues, the Redmi Note 5 has an old version of Android but I have not found any issues or bugs yet. 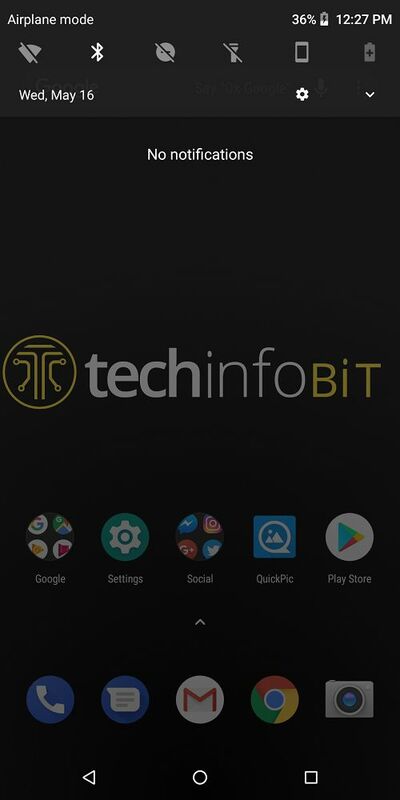 The software runs flawlessly if you had ever used the MIUI then you may be already aware of the performance of MIUI, in my opinion, Xiaomi is the milestone for custom Android ROMs; it has an elegant design, interface, and super-smooth performances. MIUI is the custom UI or skin over the Android developed, it comes with Xiaomi’s custom pre-installed apps which are not the part of Android but you will find all apps useful, many of these apps just a customised version of default android apps like Calendar and calculator, other apps are Mi Remote, Notes, Music Player, File Manager, Mi Cloud, Security etc. Redmi Note 5 comes with the IR blaster which can be used to control almost all remote controlled home appliances like TV, Fan, AC, Music System etc. using the pre-installed Mi Remote app. 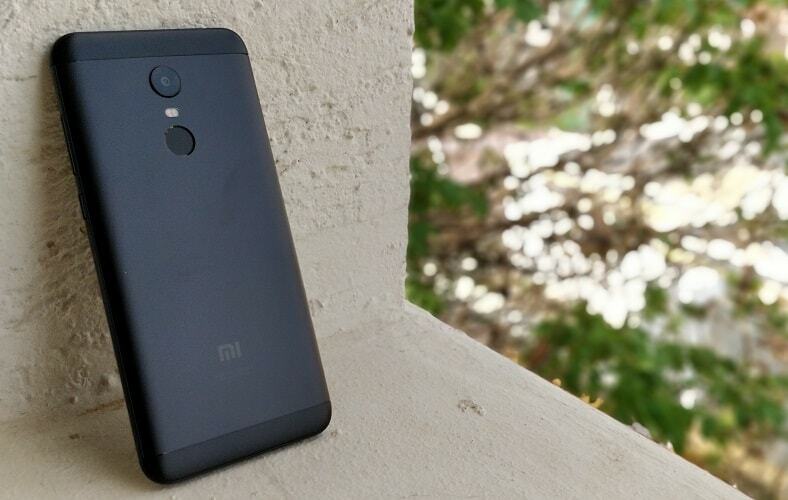 Redmi Note 5 has a rear mounted fingerprint sensor which is quick and accurate, I have not faced any issues or bugs with it yet. 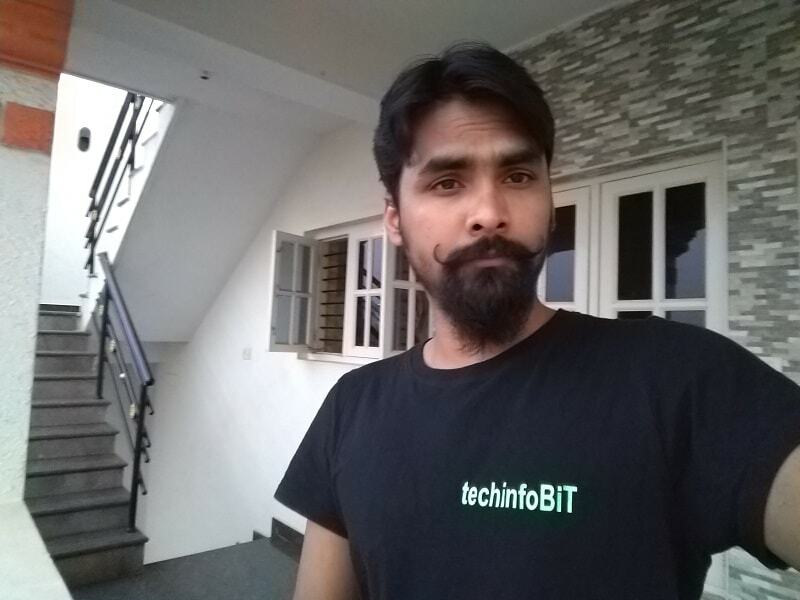 I have been using it since last two week and so far I have not found a single issue with the fingerprint sensor, every time it works perfectly. 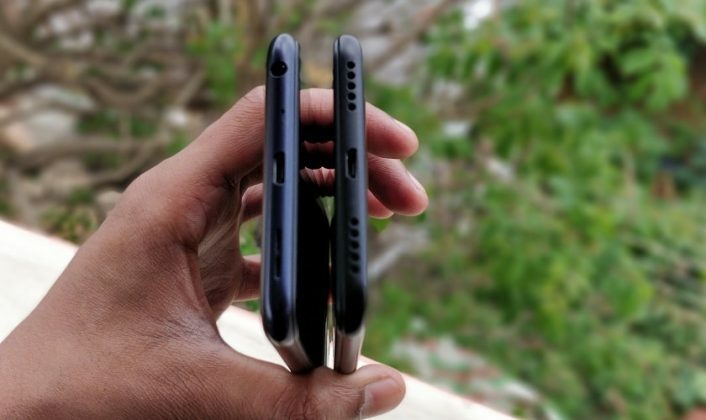 The position of fingerprints sensor on both phones are almost the same, it’s rear-mounted but easily accessible even for the users with smaller hands/fingers. 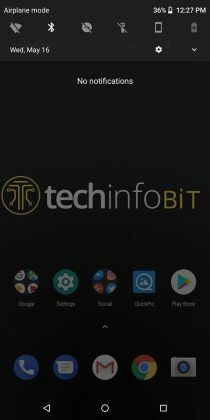 I have the 3 GB + 32 GB variant of the Redmi Note 5 which has 2.0 GHz Octa-core Snapdragon 625 processor and Adreno 506 GPU, I have installed the same number of apps and but it already has many pre-installed apps so the total number of apps installed on Redmi Note 5 is more than the number of apps installed on Zenfone Max Pro M1. I have tested the performances in many scenarios like normal basic uses, multi-tasking, heavy uses with running 12-15 apps in the background, multiple browser tabs opened etc. but MIUI handled everything nicely without giving any bad experience. The overall performance of Xiaomi Redmi Note 5 is very impressive considering the price segment and hardware specifications. The phone has 4000 mAh battery which provides a minimum one day and in some cases one and a half day of battery backup. Redmi Note 5 also doesn’t have the fast or quick charging features, it comes with the 5V/2A charging adapter which takes two to two and a half hours to fully charge the phone. The rear camera of Redmi Note 5 has a 12 MP lens with f/2.2 aperture and bigger 1.25µm pixel size. Phase-detection autofocus and a dual-tone dual LED flash complete the camera specs. 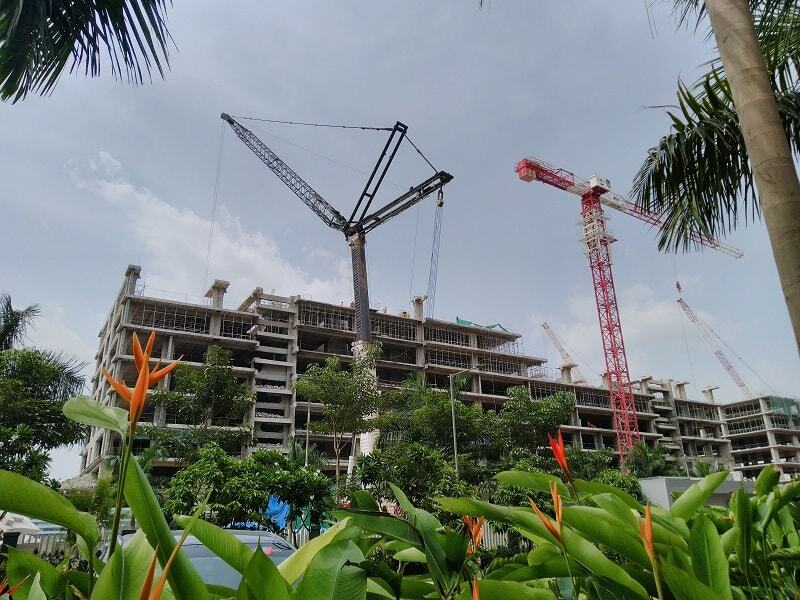 The camera app is one of the best features of MIUI so it’s obvious to expect the better experience than the camera app on Asus Max Pro M1. 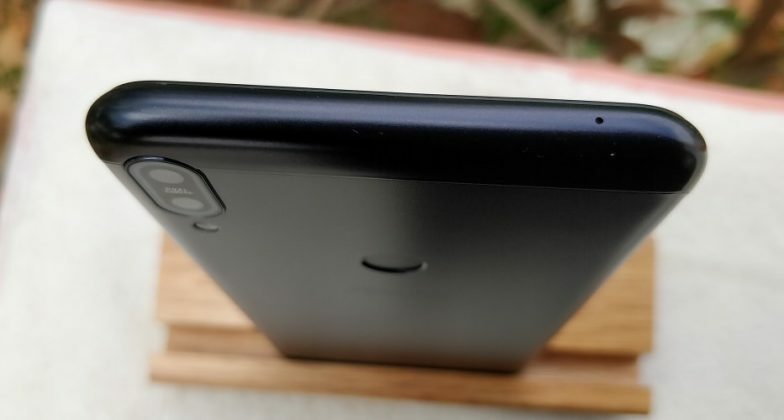 The Xiaomi camera app is fast and glitch-free, focusing and refocusing is easy and fast it gives the shutter button right on screen after locking the focus. Note 5 camera app has all the features including the Manual Mode but unfortunately you can tweak only the ISO and white balance, not the shutter speed, other camera features are 17 filters with live preview, Panorama, Timer, Audio, Straighten, Manual, Beautify, Group Shot, Tilt-Shift, and Night (HHT). 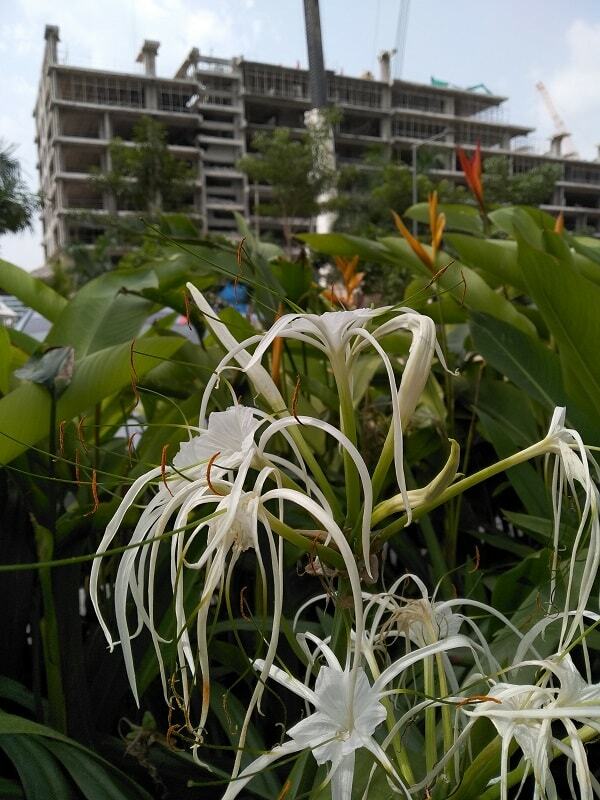 Images from the 12 MP rear camera are sharp, detailed, lesser noise, during the daylight it’s not as good as the Zenfone Max Pro M1. 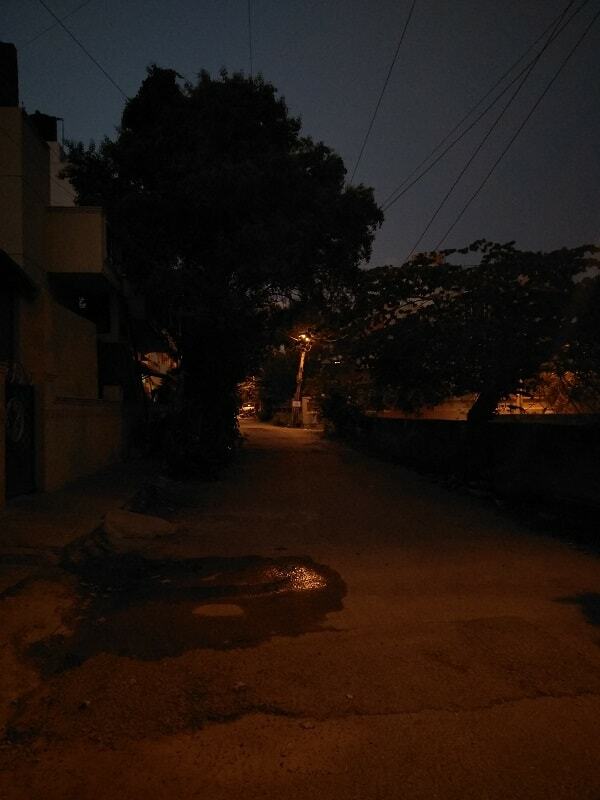 Low light shots are just average, using the Auto HHT mode in low light may give you comparatively better photos but do not expect much. 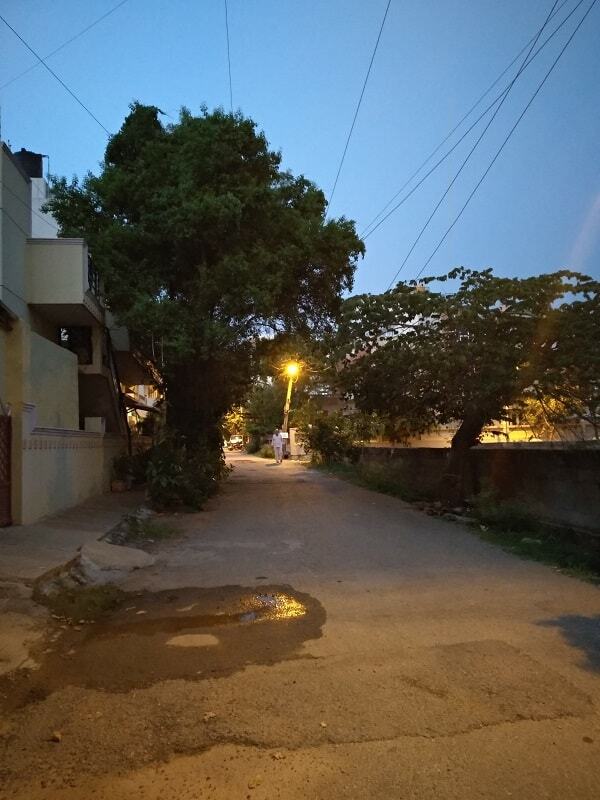 The rear camera of Zenfone Max Pro performed better in the daylight conditions, images in low light conditions are not that good from either of the device but Redmi Note 5 is a bit better in low light conditions. 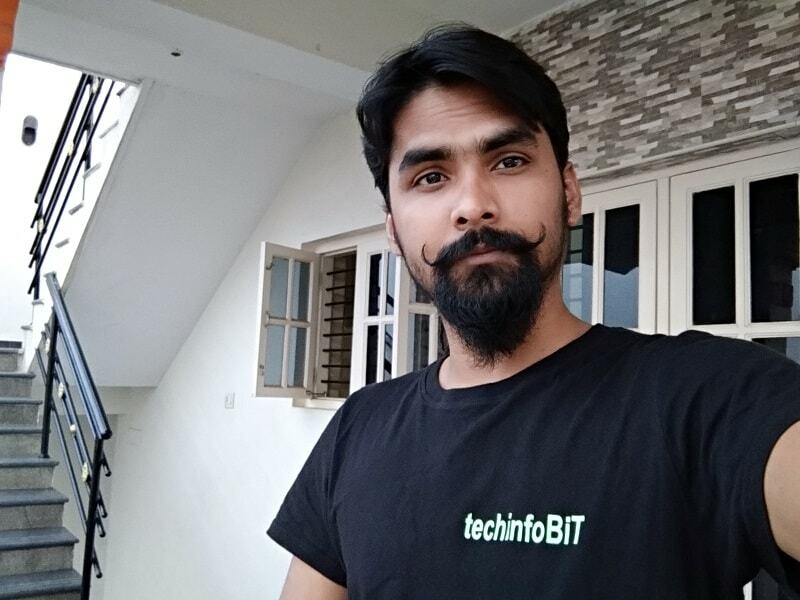 Selfie from the 5 MP camera of Redmi Note 5 is just above average yet way better than the images from the 8 MP rear camera of Zenfone Max Pro in all light conditions, see the samples below. 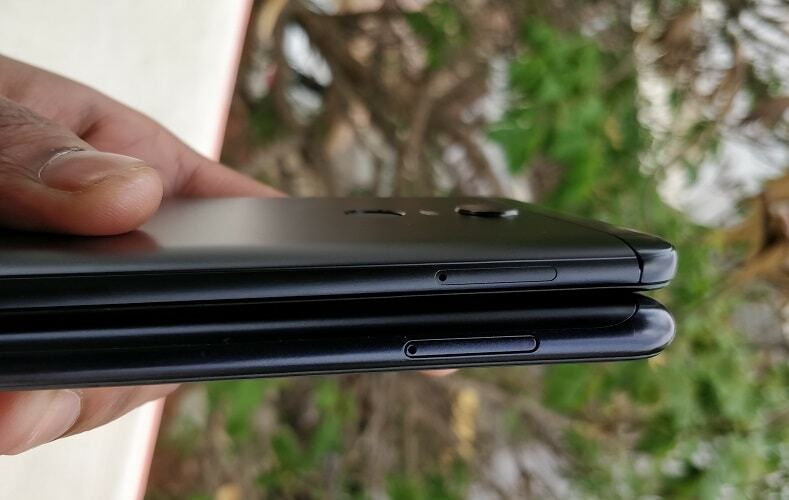 Both phones are very similar to each other by the design, specs, and prices but there is a difference in performances, so I can’t be diplomatic and say that both phones have decent performances. 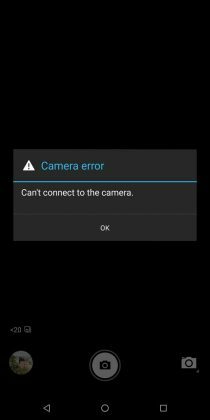 There are some bugs in the Zenfone Max Pro the very basic but the irritating one like camera app is slow and crashing fingerprint is working very slow, the front camera is hopeless, and it also freezes sometimes. 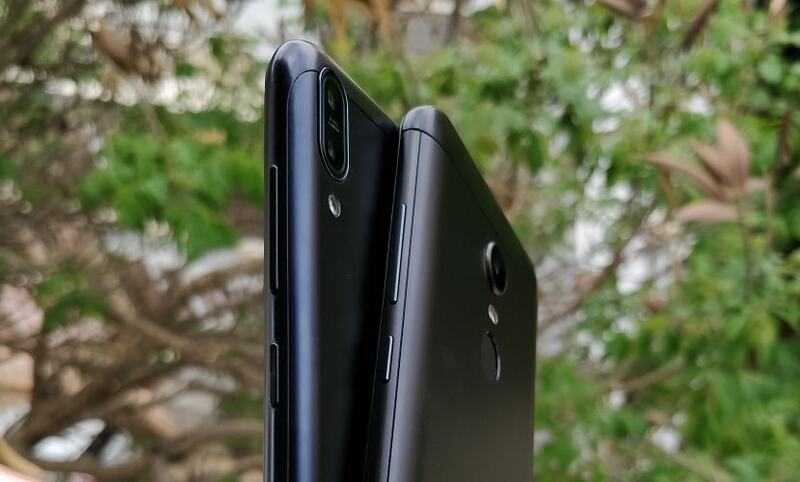 The rear camera in daylight, battery backup, and feel of stock Android are few things which I liked and found better than Redmi Note 5 but Asus should really work on improving the software stability because Max Pro M1 has potential to give strong competition to the Redmi Note 5 or other budget phones. 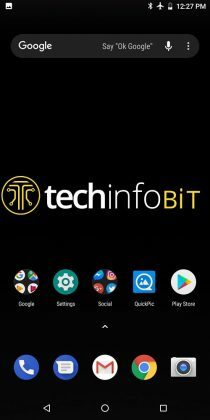 I have not found any major bugs or issues on the Redmi Note 5 yet, Software is bug-free and performance is very smooth. 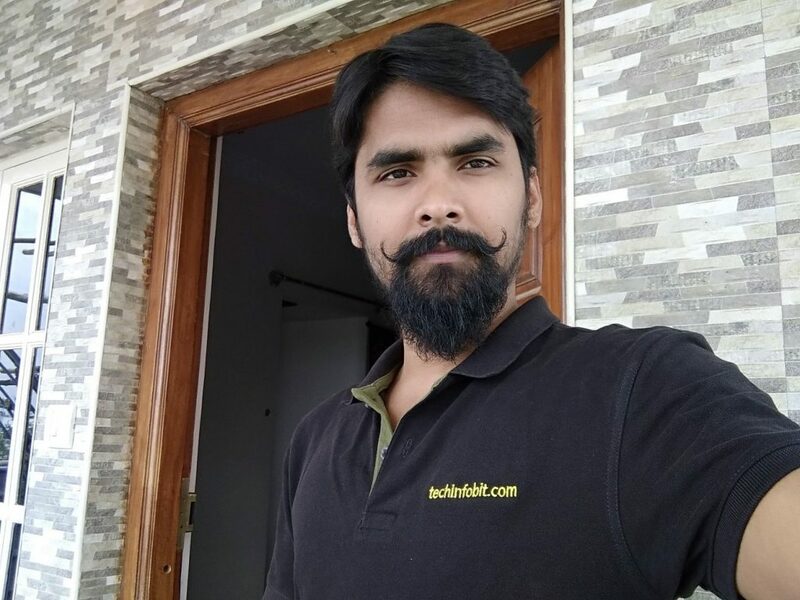 The 5 MP front camera is taking the better selfies than the 8 MP camera of Max Pro M1, the fingerprint sensor is pretty fast and accurate, the battery backup is also good, not as good as the Max Pro M1 but one or one and half day of battery backup can be considered a good battery backup these days. This is a very tough question to answer because everyone may have the different requirements and uses, so the final decision should always be yours. But, if I have to choose one among these two anyway then I will choose the Redmi Note 5 because for me, performance and software stability is important plus it will cost Rs. 1000 lesser than the Max Pro M1 so even If I”ll have to buy it from an offline store like Sangeetha Mobiles by paying Rs. 500 extra even in that case I am saving Rs. 500 and getting better performance as well. 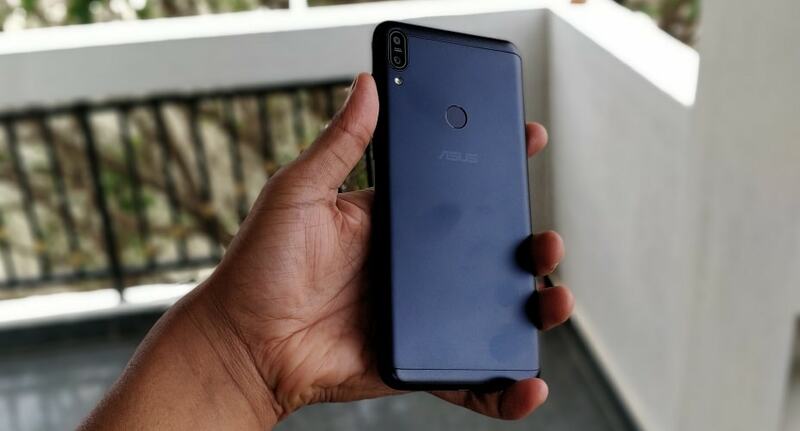 If your primary need is good battery backup, do not bother about the selfies, and if you are ready to wait for the software bug fixes than you can also buy the Asus Zenfone Max Pro M1. You can take really good photos from the rear camera during the daylights and most importantly this is not going to be out of stock like Redmi Note 5 or any other Xiaomi phones in any soon so you can buy from Flipkart whenever you want. 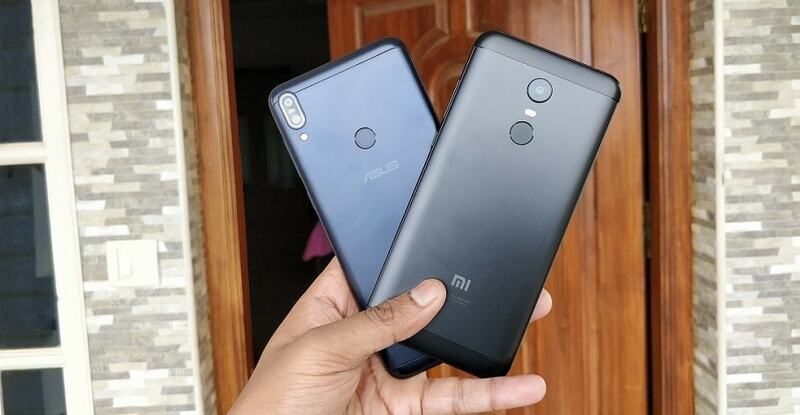 These ratings are only for Asus Zenfone Max Pro M1 not for Xiaomi Redmi Note 5. My ratings are based on my experience with the phone and considering its price tag, specifications etc.